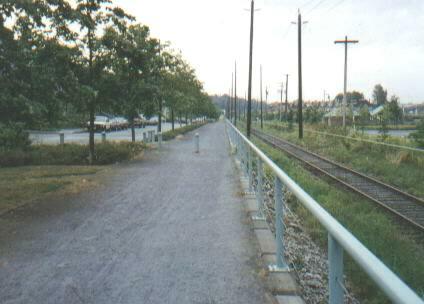 Kent path near Fraser River, Vancouver, BC Skirts past condominiums, parks and industrial properties. View sawdust barges along river. Crosses much of southern Vancouver with little traffic worry.